Luke 21:24 “And they will fall by the mouth of the sword and will be led captive to all the nations. And Jerusalem will be trodden down by nations, until the times of the nations are fulfilled“. 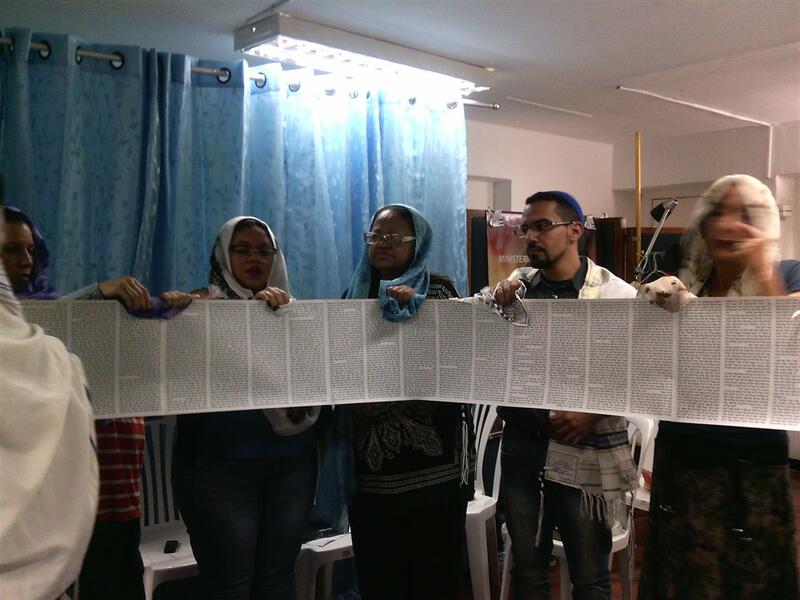 To date, 23 of June 2018 there are about 1,500,000.00 of people believing in Yeshua like the Mesias of Israel and that follow the precepts and commandments of the Torah in his daily life and about 1 million additional people who are not affiliated to any institution or Congregation but practicing the Jewish roots of faith. 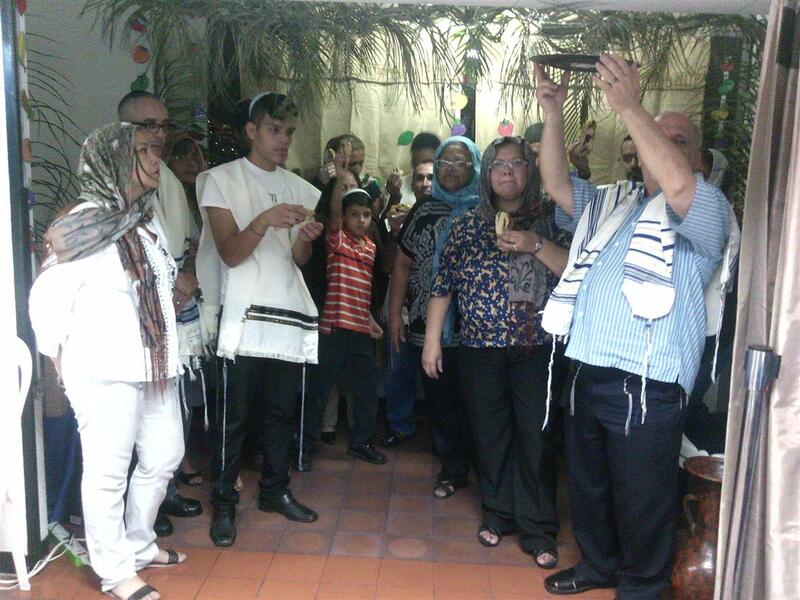 These people are called “Messianic Jews” or “Netzarin Jews”. The exact principles of the Jewish Messianism vary from congregation to congregation. In general, the essential doctrines of Messianic Judaism include: Shabbat (Friday night-Saturday night), use of prayer Talli, Mezuzah, Tzitzit, kosher diet, and circumcision of children on the eighth day. Elohim/God: The only creator, omnipotent, omnipresent, eternal, out of creation, infinitely meaningful and benevolent. The Bible: Tanakh and Brit Hadashah/Nuevo Testament are generally considered as divinely inspired scripture. 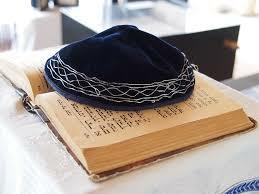 However, faith does not adhere to rabbinical law, and avoids the authority of the Mishnah and the Talmud (Oral Law), consider these subordinate traditions to the written Torah. The written Torah (the first five books of the OT): The Messianic Jews believe, that Yeshua taught and reaffirmed the Torah and that it remains fully in force. Israel: The children of Israel are the chosen people in God’s plan; The Mesianicos are opposed to the theology of the replacement. 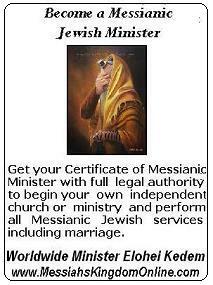 Messianic Jewish conversions are not considered valid by any Jewish denomination. Non-Jews who join Messianic congregations are sometimes called spiritual Jews, finished Jews, or messianic Gentiles. Messianic Jewish prayer services include a large part of the traditional Jewish liturgy, often edited and amended to include references to Yeshua. Hebrew is common in Messianic Jewish congregations, and there is a growing tendency towards the inclusion of dance in its services. From 2003 to 2007, the movement grew to more than 438 Messianic congregations in the United States to as many as 438, and more than 100 in Israel; Congregations are often affiliated with larger messianic organizations or alliances. There are many independent Congregacionas not affiliated to any movement. The Mesianicas Jewish congregations do not believe themselves “Notzrim” (Christians), but “Yehudim”. The believers in Yeshua and practitioners of Torah are classified as fanatics and bigoted by the non-Messianic Jewish community, teaching their children that we want to destroy Judaism, and part of the Christian community sees us as judaizers (for misinterpretation of Galatas 3), trying to bring back the believers under the law. Both things are false and ridiculous at the same time. Do not procelitan the Israeli people, avoiding to take them to “false Christianity”. As we said today, 23 June 2018 There are about 1,500,000.00 of Messianic Jews or Netzarin Jews and another million believers not associated with any organization. HEGESIPPUS (140 ad-), a Christian NazarenE, was the first historian of the church. He quoted the Hebrews in much of the gospel as the final authority in the life and teaching of Jesus and declared that certain books of the Apocrypha had been forged during his own life. Zoller, Israel, (September 27, 1881? March 2, 1956) former Chief Rabbi of Rome (1881-1956) The main rabbi of Rome, helps to save about 4.000 Roman Jews while the Nazis enter Rome in 1943. Posing as a structural engineer, he enters the Vatican and asks Pope Pius XII to protect the Jews from Rome. The pope makes sanctuaries for them churches, monasteries, convents and the Vatican itself. Zolli publicly becomes Christ in 1945, saying: “I promised God in 1942 that I should become a Christian if I survived the war. No one in the world has ever tried to convert me. My conversion was a slow evolution, totally internal…. Bob Dylan (Duluth, Minnesota, U) fought to balance his messianic beliefs of Judaism with his music, especially in the years 80. Glen Campbell (Delight, Arkansas, U) has followed the Messianic Jewish faith for decades. “It is the Jews who believe that Christ is the resurrected Savior. I think it’s all going to come to that, “he said. Juliana Margulies (Spring Valley, NY, USA) “I didn’t grow up Jewish. My parents are Jewish, but my mother was baptized when I was five years old. She took a Christian path – she was not born again, but Christian spiritual, “she said of her faith. Dr. Michael Brown, on the theme of the Messiah of Yeshua. Being the Messianic Jews so important today, do not forget that we have multiplied ourselves in double in less than 10 years, we were only 800,000 members 8 years ago now we are more than 2 million in June 2018. Dwight. Let me give you an example: I have done my ascendants tree up to 1504, complete with dates and names. Then I could not go any further, something was stoping my search. Then in Portugal I found that my great, great, great ….granmother was a “marrano”, a jewish girl obligated by the Spanish Inqusition to convert to “false christianity”. Then I new I was a descendant of the Jewish People. For you, me and everyone else there are two verses that if we comply with them both we are part of the Jewish People of the Elohim of Israel, Elohim of Abraham, Isaac and Jacob: Devarim (Deu) 56:4-7 and Rev 14:12. Blessings.